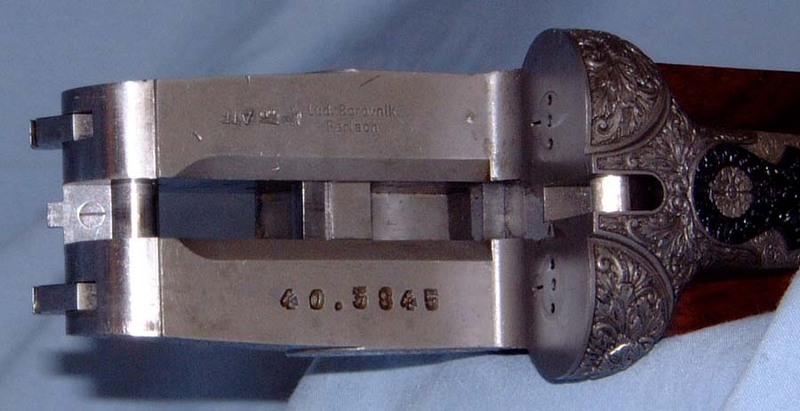 L. Borovnik double rifle .375 H&H Mag. 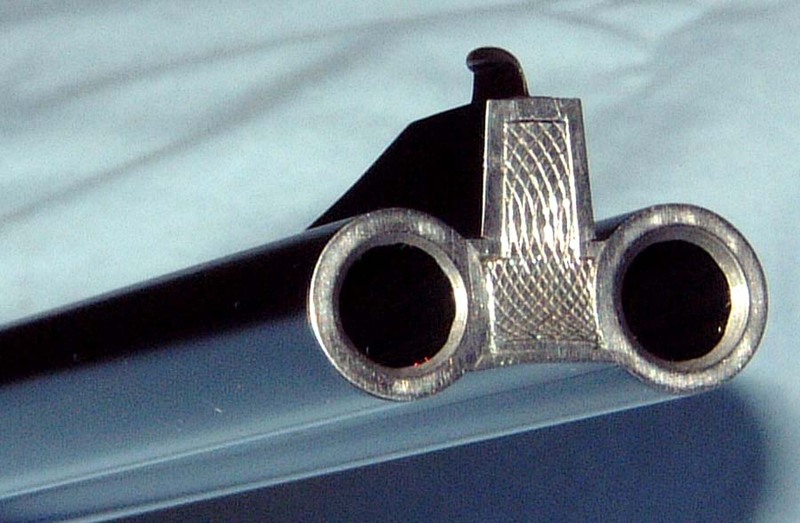 Purdey under bolts with Greener cross bolt third fastener. Disk set strikers. Gold washed internals and triggers. Carved and beaded fences deeply engraved with an intricate pattern of foliate scroll. Stunning deep relief African game scenes surrounded by fine scroll and with tasteful gold filigree inlays. Front trigger is single-set. Stocked to the fences with a beautifully figured piece of exhibition Turkish walnut with fine point-pattern checkering, oval cheek piece, engraved steel grip cap, ½” black Pachmayr pad. Splinter forend with Deeley latch. The barrels are 25 5/8” (65cm) chopper lump, with quarter rib, 1 standing rear sight with gold triangle inlay, ramp front sight with bead. Factory fit with 1.5-6 Swarovski in claw mounts (the mounts are soldered to the scope tube prior to final finish in best pre-war fashion, not split rings). 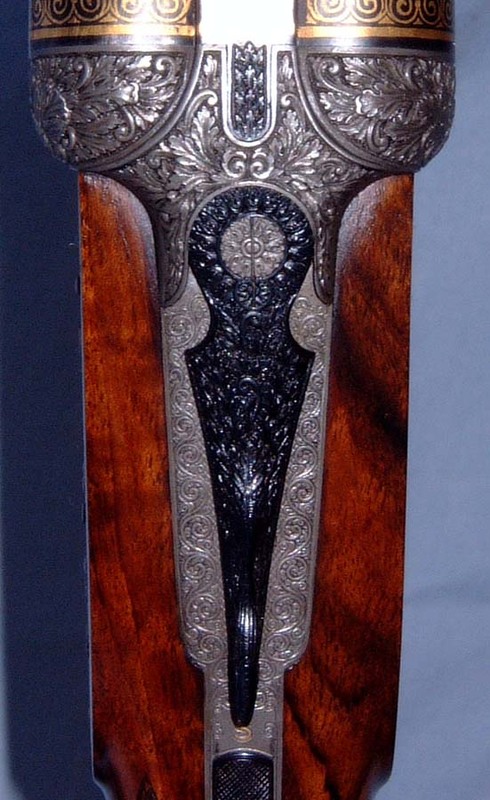 The breech end of the barrels has a unique and ornate gold filigree inlay. Conco Arms - Emmaus PA was the importer. The rifle is quite accurate and regulated for 300 grain bullets. 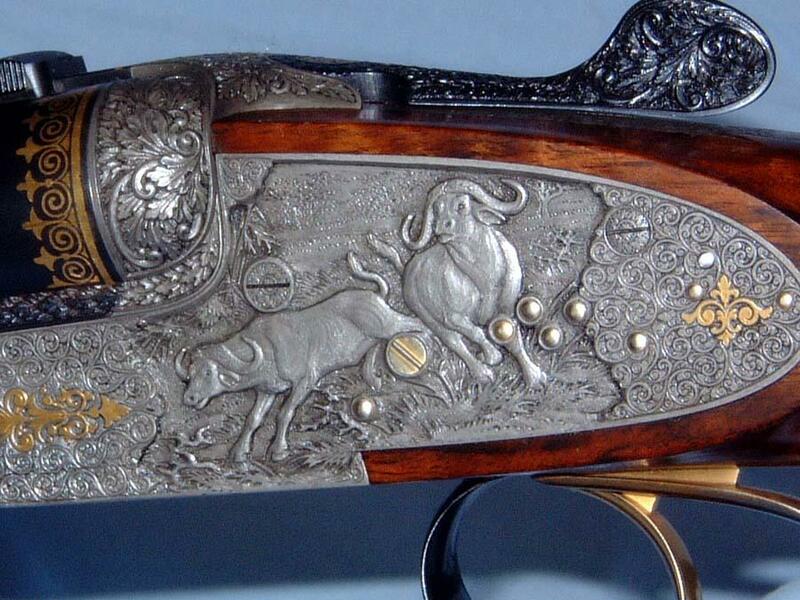 It’s hard to describe the embellishment of this gun. The engraving is bold relief, yet has the intricate detail of bulino. Only under magnification does it reveal its true detail. 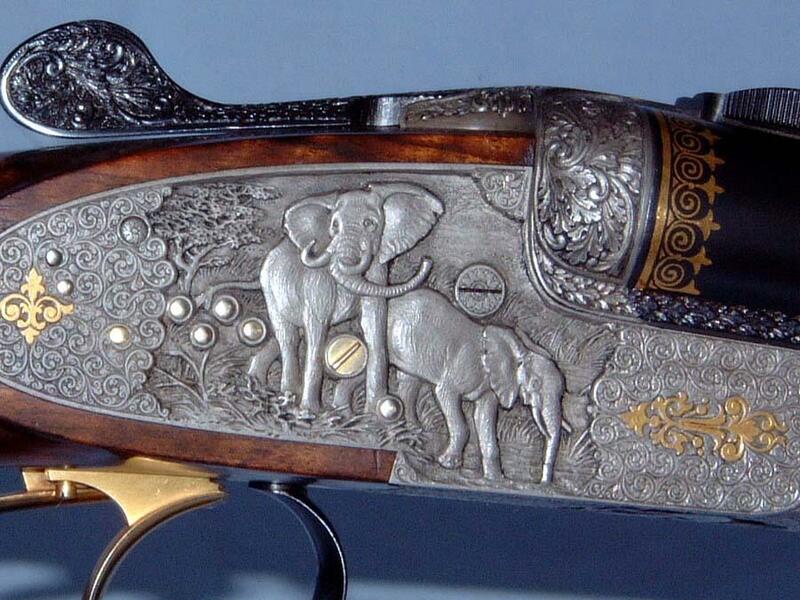 This is truly a masterpiece of gunmaking art.